Ryan Giggs said there was "lots to be pleased about" after Wales needed a late goal to beat Trinidad and Tobago 1-0 in their international friendly. 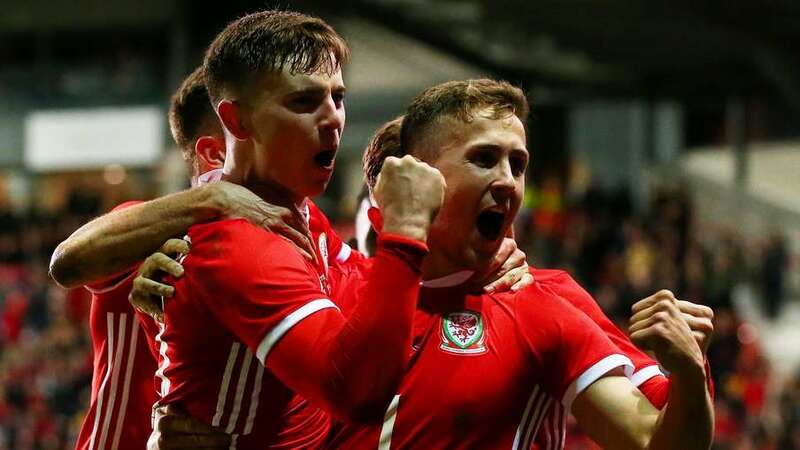 Ben Woodburn turned the ball home in the 91st minute to give Wales the victory ahead of their opening European Qualifier against Slovakia on Sunday. It was a battling performance from a youthful Wales side, and Giggs was happy with what he saw in Wrexham. "They did [eventually find a way] and it is a great quality to have," he told Sky Sports. "I thought there was some really good stuff in the first half and in the second, Trinidad and Tobago made it really difficult by sitting back in their shape and then counter-attacking. "But overall, I'm really happy. There were a few debuts and Woody (Ben Woodburn) getting the goal in the end so there was a lot to be pleased about. "A win leaves you with a better feeling obviously, and to score late on, if a team has that sort of trait, it's brilliant to have and that's what I've said to the lads. "If you keep a clean sheet, you've always got a chance and we've got (Chris) Gunter to thank for that with the clearance off the line, but they kept going and it wasn't easy. I was really pleased with that." Wales are aiming to qualify for just their second European Championships after making it to the semi-finals in their first appearance three years ago in France. Speaking about Sunday's game, Giggs added: "It gives you a good feeling going into Sunday. With that win under your belt, overall the camp will be on a high and we'll look forward to Sunday now."